UWM leads the way in providing resources for businesses in areas such as water, energy, sustainability and advanced materials. Collaborative arrangements with local and national research consortia and centers of excellence bring business and industry breakthrough research to promote innovation, economic development, job creation and growth. Aimed at research and applications revitalizing the materials manufacturing industry in Wisconsin. Directed at developing research and practical information for the beneficial recycling of discarded materials from industrial, commercial, and public sector operations. 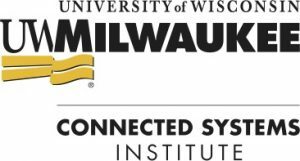 To develop models for greater productivity through the industrial internet of things (IIoT) technologies, UWM has launched its Connected Systems Institute (CSI), a multidisciplinary, statewide collaboration between academia and industry. Dedicated to exchanging and disseminate information connected to improving ergonomics, safety, productivity and quality in gas industries. Focused on the growth and economic competitiveness of the energy, power and control industry cluster across the Midwest. Concentrated on aligning the regional freshwater research community and water-related industries working to expand the Milwaukee region as a major hub for water research, economic development and education. Targeted NSF-funded, royalty-free research projects selected by industry members interested in the next generation of products and processes that advance the water industry.